Koi are capable of surviving through an entire winter in a frozen pond, provided their water has sufficient oxygen. Poor-quality water will not sustain koi if they are frozen on top, as they will not be able to surface in order to breathe. 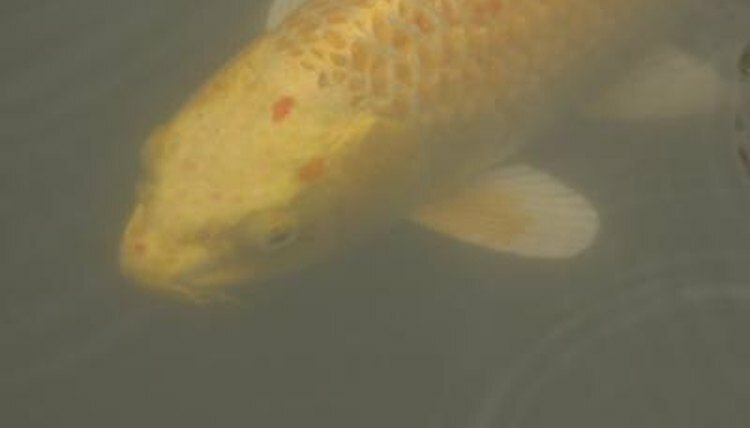 Survival under ice is possible for koi; many wild populations do so. But in captivity, they must have clean water. As long as they do, you can allow your koi to experience frozen water conditions. If you prefer not to, you have other options. Master Gardener Jamie Beyer says koi have an undeserved reputation for requiring perfect water conditions and for having weak immune systems, but they are tougher than people give them credit for. They are evolutionarily adapted to cold winters. In fact, a period of low activity in low temperatures is an integral part of their life cycle. If you don’t wish to let your koi overwinter, two main alternative options are to remove them from the pond and temporarily re-home them indoors or in a heated pond, or to use a dome-shaped pond cover to keep the ice off and allow airflow into the water. Either option requires you to disrupt the koi, whereas simply leaving them to fend for themselves is easier and shouldn’t pose a risk to healthy koi, provided you prepare correctly. It’s essential to put in some preparation work -- starting two months before winter sets in -- to give your koi the best chance of overwintering successfully. Remove all unwanted fish; the fewer fish competing for oxygen the better. Remove all organic matter just before the freeze kicks in. Use local weather reports to guide you in this. Since a frozen pond receives virtually no airflow, harmful bacteria from decaying plant matter can thrive, potentially dramatically lowering the water quality. Koi, although tolerant of low temperatures, need very clean water. If you do elect to let your koi overwinter in a frozen outdoor pond, it’s absolutely essential that you provide aeration. Do this by creating a small hole in the ice. In the wild, koi lakes never totally freeze over. This is because of the irregular shape, gently sloping banks, variations in salinity and sheer size -- there is always a part of the water that resists the cold.